The global hybrid memory cube (HMC) market is expected to register a CAGR of 54.82% during the forecast period, 2018-2023. Asia-Pacific accounted for the highest growth rate, and is estimated to witness a CAGR of 58.57% over the forecast period. The scope of the report is limited to solutions offered by major players, including to end users, such as enterprise storage, telecommunications, and various others. The regions considered in the scope of the report include North America, Europe, Asia-Pacific, and Rest of the World. 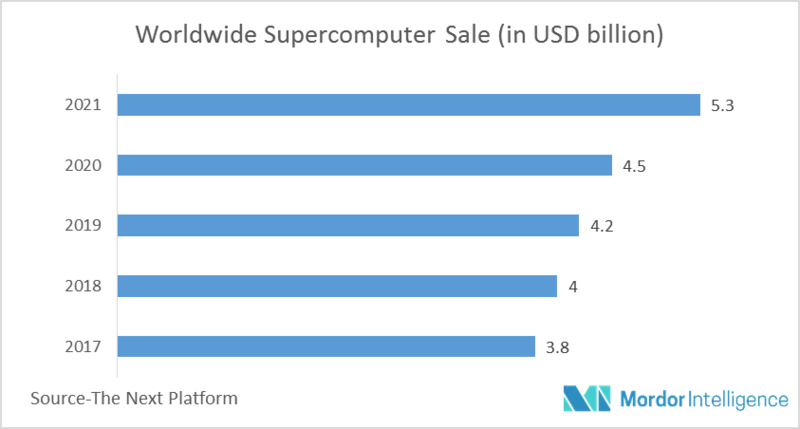 The study also emphasizes on how the demand for supercomputers is driving the market, and how the increasing demand for enterprise storage is affecting the market. HMC is considered as a technological revolution, representing a paradigm shift from the current memory architectures. It is redefining memory by advancing past the conventional DRAM system. Also, a new standard in the memory market space is being set through the adoption of HMC that can catch up with the advancements of CPUs and GPUs. The growing need for high-performance computing catering to specific demands is expected to increase the demand for HMC. Moreover, it provides improvements in performance, breaking through the memory wall, and enabling dramatic performance and bandwidth improvements. Also, the architecture of HMC is more efficient than current memory, utilizing 70% less energy per bit than the current DRAM technologies. However, the market is still flooded with DRAM’s, which can affect the adoption rate of HMC. Major key players: Micron Technologies Inc., Intel Corporation, Xilinx Inc., Fujitsu Ltd, Semtech Corporation, Open Silicon Inc., OmniPhy, Achronix Semiconductor Corporation, TekStart LLC, and others. April 2017: Intel launched its Optane Memory line for solid-state drives. Optane Memory is designed to accelerate storage subsystems on compatible machines to improve transfer speed and reduce latency. It is one of the first products to leverage 3D Xpoint memory technology that was developed by Micron and Intel, offering properties like NAND flash. This partnership between rival companies is expected to pave the way for other companies to partner and take gain leverage from their field of expertise.